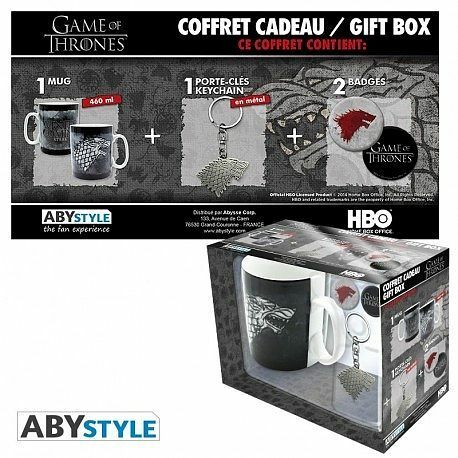 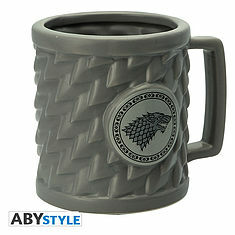 GAME OF THRONES - Pck Mug + Keychain + Badges "Stark". 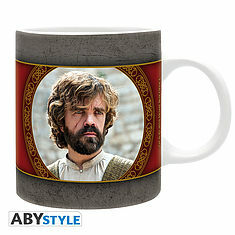 GAME OF THRONES - Kubek 3D - STARK. 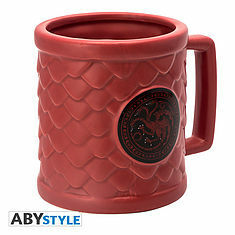 GAME OF THRONES - Kubek 3D - Targaryen. 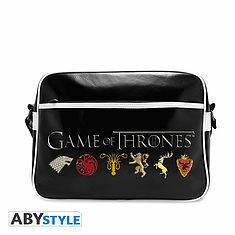 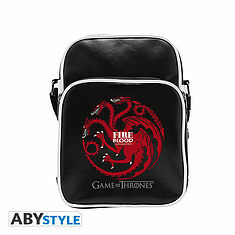 GAME OF THRONES - Messenger Bag "sigils" - Vinyle. 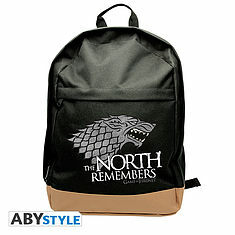 GAME OF THRONES - Backpack "Stark". 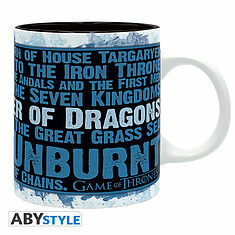 GAME OF THRONES - Mug - 320 ml - Khaleesi - subli - With box. 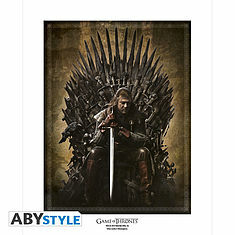 GAME OF THRONES - Collector Artprint "Throne" (50x40). 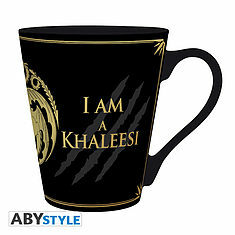 GAME OF THRONES - Mug - 340 ml - I am not a princess - boîte. 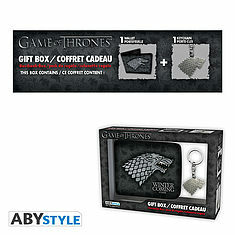 GAME OF THRONES - Pck Wallet + Keyring "Stark". 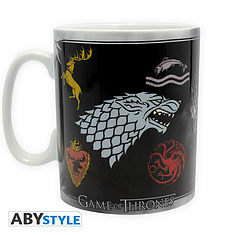 GAME OF THRONES - Mug - 460 ml - Sigles & Trône. 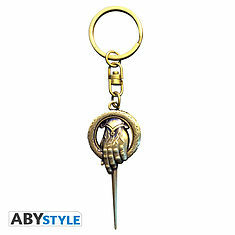 GAME OF THRONES - Keychain 3D "Hand of King".